The unit mix by size and type should be based on the results of the market feasibility study. When it comes to unit size and mix trends, factors are driven by market dynamics, which includes location, demographics, and size of the apartment development. Unit types most often range from studio apartments through two- and three-bedroom units with two baths; some include extras, such as sun-rooms, dens, and lofts. In projects designed for lower-income renters, family-sized units should predominate. If the target market is young singles just starting out, demand will likely be strongest for a mix of split two-master-bedroom roommate units and one-bedroom units for singles. In very high rent urban locales, studio units are popular, but in suburban areas, demand is almost nonexistent for such small units. Unit mix is simply the different number of bedroom apartments in asset. Apartments range in sizes from efficiency to four bedrooms. An efficiency apartment is usually occupied by a single person and combines the sleeping, living, and kitchen areas. Studio apartments are larger versions of the same footprint, but tend to have a larger kitchen. We tend to shy away from these types of apartments because the resident base tends to be transient, which means that the residents move in and out and create a high turnover. 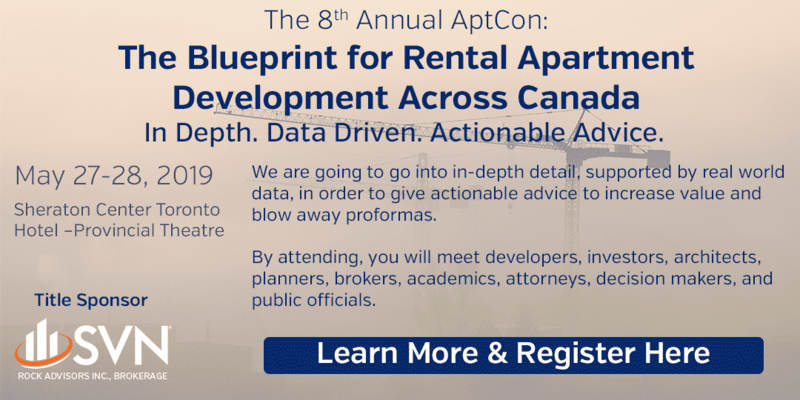 One of the largest expenses that a apartment developer incurs is resident turnover because the apartment has to be prepared for the next person to move in and, in the meantime, the apartment remains unoccupied. The next size is a one-bedroom unit, which can also have a higher turnover rate, but not as high as the aforementioned smaller styles. Typically, municipalities allow two residents to occupy an apartment for each bedroom, and in turn, it shrinks the resident pool. However, it all depends where the units are located. Developers and apartment owners like one-bedroom units because they provide more rental revenue per square foot than larger units. Those in their 20s are delaying marriage and children longer, and these young singles prefer renting, especially in urban core areas that feature restaurants and retail tailored to their tastes and lifestyles. And, because many of these renters are older, they’re less likely to want to live with a roommate. The best unit size to work with is the two-bedroom units. They’re perfect for most demographics yet larger families can’t occupy them. Larger families tend to cause more deferred maintenance on a unit, another costly expense for apartment developers. Two-bedroom units are usually the most cost effective for residents and are the easiest to lease. The three- and four-bedroom units conclude the sizes for apartments. Four Bedrooms are found more often in student housing. When it comes to apartments, the more bedrooms, the higher the rent, so investors should try to build apartments that have at least some three bedrooms. Or Two-bedroom dens. Certain niche markets play a role in determining unit types. 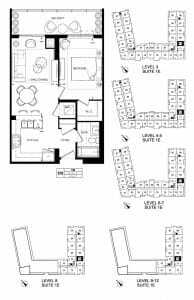 For example, students housing require special floor plans that include three- and four-bedroom units, because typically the majority of students share a unit. More difficulty in getting approvals because of neighborhood opposition to higher density and increasing land and permitting costs also contribute to larger units as developers are forced to pursue higher-income residents. The key to unit mix is the market feasibility study and then to develop an asset that has a favorable number of two-bedroom units in relation to one-bedroom units. The ideal ratio is 2 two-bedroom units to 1 one-bedroom unit. For example, on a 100-unit apartment community, 66 two-bedrooms and 34 one-bedrooms. This type of unit mix makes the asset more valuable, and will make it easier for the apartment developer to lease the units as well as choose from a larger potential resident base. Residents also have the option of moving up or down a size without having to leave the asset, which also benefits the developer in that it reduces vacancies. ., Brokerage is an Ontario-based commercial real estate, consulting and new construction lease-up company with an exclusive focus on the apartment sector. We are a boutique brokerage firm that specializes in multi-residential properties (apartments). Our specialty is in delivering institutional quality services to private capital owners and investors while representing buyers and sellers of apartment properties in the transaction process. With this exclusive focus on apartments, we have developed world class systems and processes that allow us to handle every type of apartment transaction with efficiency.